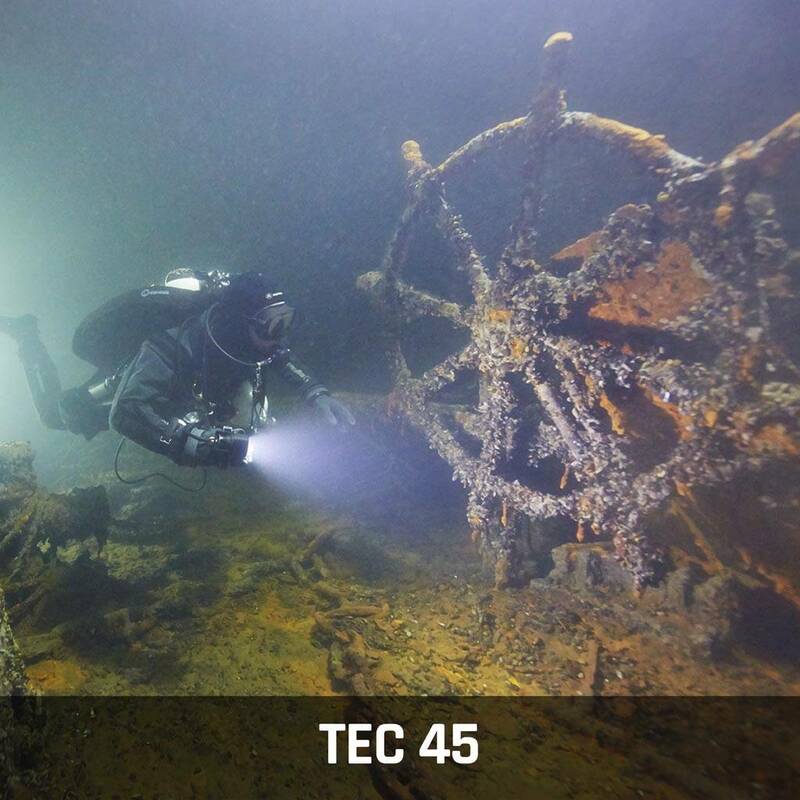 The Tec 45 course is the second step of the PADI Tec Deep Diver Program. Go beyond your limits with Total Diving. The PADI Tec 45 course is the next step in your technical diving training. Go from the basics to more challenging dives by taking this course with our expert-trained instructors at Total Diving. This course puts you in a complete tech diving rig, either in backmount or sidemount, and you will learn how to plan and execute repetitive decompression dives. Broaden your skills and become a better technical diver with the PADI Tec 45 course. This course covers a broad range of topics while still being accessible. Similar to the PADI Tec 40 course, the Tec 45 is split up into three knowledge development sections, three practical application sessions and four open water dives. During this training, you will build on your Tec 40 skills by focusing on the function and maintenance of tech diving equipment and various issues. You will fine-tune your skills in gas planning and will begin calculating accelerated decompression stops. Using EANx or pure oxygen, you’ll be able to rise to the challenge and become a committed technical diver. Like the Tec 40, the Tec 45 requires a broad variety of prerequisites to complete. You must have completed your Tec 40 course in order to begin this course. You must be a PADI Rescue Diver, and have logged a minimum of 50 dives with at least 12 dives on enriched air nitrox deeper than 18 metres (60 feet). You also have to have completed a minimum of 6 dives deeper than 30 metres (100 feet). You must be at least 18 years old and have a medical statement signed by a physician within the last 12 months. If this course sounds like something you’re interested in completing, contact us by phone, email, or in store to set up a date. We have specialty courses running throughout the summer to accommodate varying interests in our community! Technical diving is growing in popularity, and now is the time to start.